For 6,500 years Afghanistan has been famous for the brilliant blue lapis lazuli, coveted by everybody from the Egyptian pharaohs to the common jewellers of today. These days mining of the precious stone is funding illegal armed groups and driving extremism and corruption in the northern province of Badakhstan, a two-year investigation by Global Witness, a London-based campaign group, has revealed. China – as the major end market for the stone – is in a strong position to help end that threat. About US$200 million (1.3 billion yuan) worth of lapis was exported from the mines in Badakhshan between 2014 - 2015. Much of that stone passed through Pakistan to China, where it is used to make jewellery. Mining has the potential to generate large amounts of revenue and growth for Afghanistan. The country is one of the poorest on earth. The World Bank ranked only a dozen countries whose per capita GDP was lower than Afghanistan’s in 2014, but it is rich in minerals. Badakhshan especially has few other sources of employment. Instead, Afghanistan’s riches have proved to be a poison. In Badakhshan, the mines are a prize fought over by armed groups. The government lost control of the lapis mining district more than two years ago to an illegal armed group led by a former local chief of police, but even before this, the industry produced little or no taxes. The real beneficiaries of mining have been the Taliban, which has flourished in the environment of conflict, weak governance structures and corruption. They are also tapping a growing share of the revenue from lapis. In 2014, the Taliban received US$1 million in payments from traders and the illegal armed group controlling the mines, according to diplomatic reports. This grew to about US$4 million in 2015 and now the Taliban receives more than 50% of the revenues from the precious stone – possibly as much as US$6 million a year. The mines have helped turn the province of Badakhshan, which was once a heartland of the anti-Taliban resistance, into one of their strongholds. Badakhshan is also home to a small group who have declared loyalty to the Islamic State – although it is unclear just how strong or real their connection is with the main Islamic State movement in Syria. This group includes fighters from many countries around the region, including from Xinjiang in China. While there is no evidence they receive funding directly from the mines, they do have a close relationship with the Taliban. It is clear that the abuses around the mines are not just a matter of development or morality: they are a matter of security and stability. Badakhshan is a microcosm of the wider problems across the country, where there are thousands of mines outside of government control. Mining is estimated to be the second largest source of income for the Taliban after drugs. There is a very real risk that the country could fall prey to a prolonged, resource-driven conflict like those that have affected parts of Africa. With a common border with Afghanistan, China has a more direct interest than many countries. It has long sought to cast itself as a strong champion for peace and development, and has an important role in current efforts to start peace talks. All that could be put at risk by Afghanistan's domestic conflict. But China is also well-placed to reduce this threat of conflict. With its unique and strong relationship with the Afghan government, it can ensure that reforming the mining sector is on the agenda, and press for decisive policy action. This is in line with the Afghan government’s declared intentions. President Ashraf Ghani has warned of the dangers of an Afghan “resource curse”, and the Afghan government has taken some encouraging initial steps, such as signing up to the Extractive Industries Transparency Initiative. While the challenge is great, there is much that can be done. First and foremost the Afghan government should make mining areas a much higher priority for its security strategy. But as Badakhshan shows, government control is not enough – what is needed is the rule of law. To do this the government needs to strengthen transparency, by amending the law to require publication of data on mining revenues and production, to make contracts valid only after they have been made public, and to set up a single transparent account for all extractive payments. The government has committed to a public register of the owners of mines – a measure which should be implemented as a matter of urgency. Finally, local communities should be given a percentage of the revenues from legal mining as a matter of basic justice. 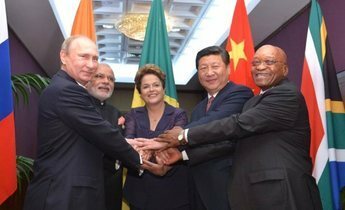 All this could change the political dynamics around mining and improve security. China, as the main market for lapis, has another powerful tool in its hands. Without buyers the armed groups that control the mines will see their power crumble. If Chinese companies, with their government’s support, refuse to import lapis that is mined illegally or contributes to armed groups, it will create an irresistible incentive for reform. This sort of due diligence is precisely what recent Chinese industry guidelines call for. Putting this guidance into practice would benefit not only the Afghan government and the local people, but China as well. Afghanistan’s enormous mineral wealth has become a major threat to the whole country. China has more reason than most to want Afghanistan to be prosperous and stable. Its special role in Afghan mining gives it a unique opportunity to head off a danger that could so easily turn that dream to dust. 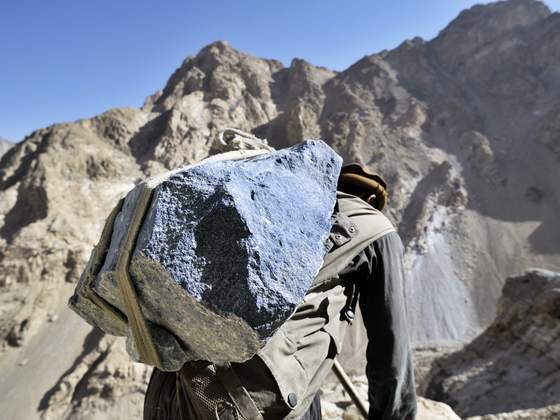 The new report by Global Witness, “War in the Treasury in the People: Afghanistan, Lapis Lazuli and the battle for mineral wealth” can be accessed here. Stephen Carter is head of the Afghanistan Programme for Global Witness. The rush for natural resources in far-flung regions is making Chinese companies vulnerable to corruption and instability.